Gordon Conwell Theological Seminary, M.Div. David Steele has over 20 years’ experience working with political, religious, and other civil society actors to effectively facilitate conflict transformation and interfaith coexistence within unstable, violence-prone situations of inter-ethnic and sectarian conflict. Since 2010, Prof. Steele has served as adjunct faculty in the Heller School's Graduate Program in Coexistence and Conflict and, in 2015, taught in the undergraduate Peace, Conflict and Coexistence Studies Program. At the Heller School, Dr. Steele currently teaches courses on Religion, Identity and Conflict (HS 243f) and 3D Security: Diplomacy, Development and Defense (HS 345f). Previously he has supervised an independent study on the Dynamics of Civil War (with a focus on Syria) and assisted teaching courses on Strategies for coexistence intervention, International mediation and dialogue, Coexistence, aid and development, Research methodology, Practicum structure and design, and Intercultural communication for conflict and development practitioners. Since 2011, Prof. Steele has supervised MA Coexistence and Conflict students in their practicum field experience and writing of MA theses and final internship reports. In addition, he has served as faculty for a student seminar in Berlin, contributed to research proposals on intercultural communication and presented various forums on: Handling values-based conflicts, Muslim Spain, Working in societies affected by extremist religion, Disaster diplomacy in the Middle East, and Peacebuilding's Inward Journey. Highlights from Dr. Steele's previous engagements include: Developed a manual on Christian/Muslim reconciliation efforts in Nigeria and inter-ethnic conflict in Kenya for the US Institute of Peace (2010-2011); Worked with Konrad Adenauer Stiftung, following post-election violence in Kenya, to design a curriculum and manual for use in peacebuilding and conflict transformation and co-lead workshops for 300 participants from local NGOs (2009-2010); Served as Senior Reconciliation Facilitator with the Baghdad Office of the US Institute of Peace, providing training in negotiation, problem solving and interfaith dialogue for a variety of personnel from Iraqi Government agencies, educational institutions, religious groups and civil society organizations (2008-2009); Worked as consultant, assisting in leadership of conflict resolution workshop in Iraq for the US Institute of Peace, assessed a religion and conflict program for UNDP in the Ukraine, and wrote papers on vision and strategy for peacebuilding for the African Catholic Bishops Conference (2007); and led training, sponsored by OSCE, in negotiation for minority group representatives in the Final Status Talks in Kosovo, and wrote background paper on religion and conflict resolution for the Oslo Forum, an annual gathering of leading international mediators (2006). In addition, Dr. Steele has previously worked as (1) a program manager at Mercy Corps for conflict management projects in Iraq, Sri Lanka and Indonesia (2004-2006), (2) program manager for a conflict management project in Macedonia, then interim executive director, at Conflict Management Group in Cambridge, MA (2003-2004), and (3) a fellow in the Program on Preventive Diplomacy at the Center for Strategic & International Studies in Washington where he directed a project on conflict resolution for religious communities in the former Yugoslavia and served as a back channel of communication in facilitating diplomatic efforts to end the Kosovo War (1994-2003). 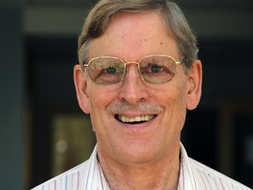 Steele has a Ph.D. in Christian Ethics and Practical Theology from the University of Edinburgh, where he wrote a dissertation on a theological assessment of the Harvard-based “principled negotiation.” He is also the author of numerous other publications on conflict transformation and faith-based peacebuilding, including: “Reconciliation Strategies in Iraq,” and an “Overview to Faith-Based Peacebuilding."